Blackberries and mint work together in this light and refreshing blueberry mojito with cherries. A mojito is a classic cocktail that many love and this mojito recipe allows you to show off your cocktail skills as you make your own simple syrup. The colors are perfect for a summery cocktail and brighten up a holiday table with the beautiful colors! 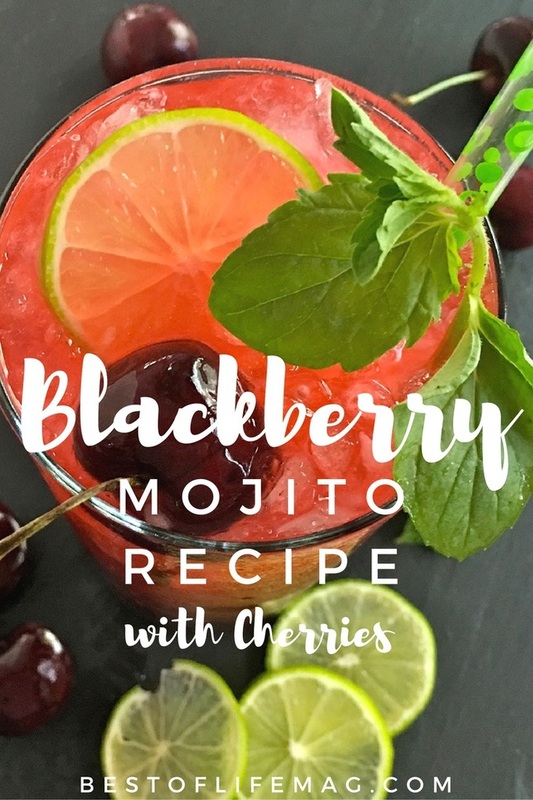 Rum works any time of year in our household making this blackberry mojito a wonderful drink that can be enjoyed year round during happy hour or parties. 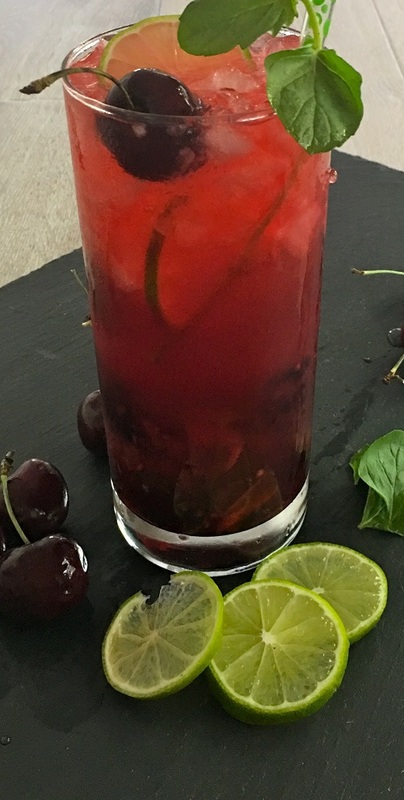 Beautiful and filled with flavor, this blackberry mojito recipe with cherries is perfect for parties or just a cocktail at home alone. Now on to the fun part! 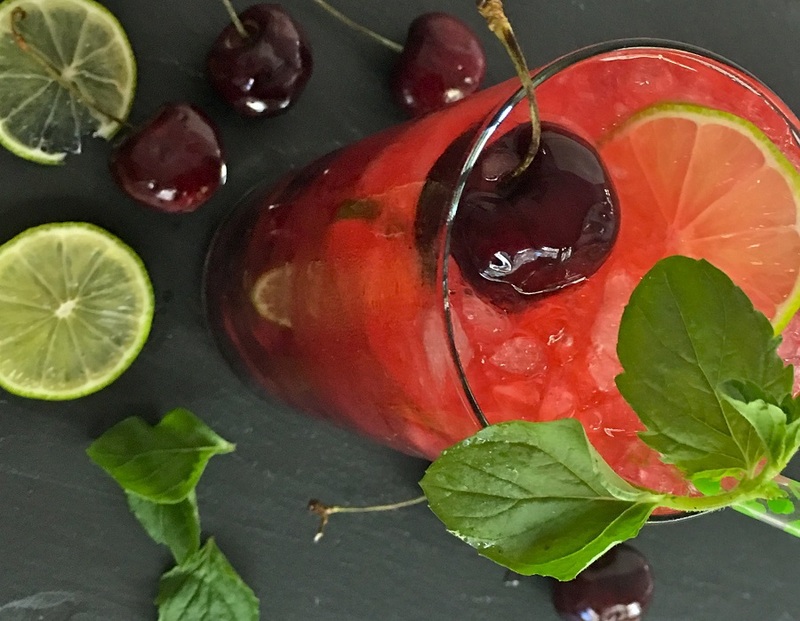 It’s time to make some awesome Cherry Blackberry Mojitos. You’ll need a few items to make these delicious drinks: a shaker, some mojito glasses, simple syrup, club soda, lime juice, and of course some festive straws will all come in handy for this recipe. If you love mojitos you have to try our low-cal mojito recipe! Of course, there are other awesome low-cal cocktail recipes to try here as well! Nothing makes a cocktail better than fresh fruit. Fruit adds flavor, sweetness, and a freshness that you can’t get from a bottle. That being said, this recipe calls for cherries as well as blackberries, mint leaves, and a lime. All of the above should be as fresh as possible. It will make a world of difference to put in that little bit of extra effort. For the stuff you can get out of a bottle, you’ll want to have some Bacardi White Rum and some club soda. Without these two ingredients, you have nothing more than a weak fruit salad. When it comes to the syrup, making your own is so easy that you have to wonder why people are spending money on bottles of premade simple syrup at the store. All you need is some granulated sugar and water. It’s that simple. Garnish isn’t as important as you may think but if you’re serving these cocktails up at a party, garnish becomes everything. 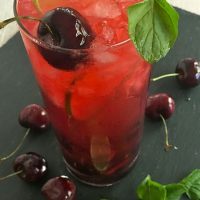 You can garnish this drink with a few different things like a slice of lime, some mint leaves, cherries or blackberries. All will get the job done and make you look like a pro. To make simple syrup, combine 1 cup sugar and 1 cup water and bring it to a boil. Stir to let sugar dissolve and remove from heat. Let syrup cool. 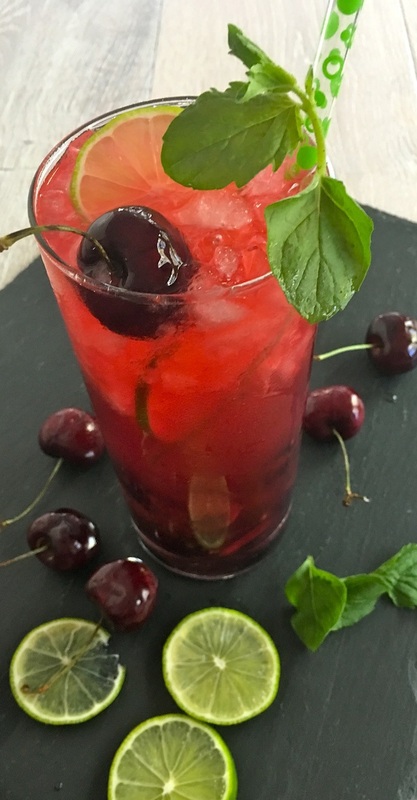 Use a 12 to 16 oz firm glass, combine cherries and blackberries, mint leaves, white rum and simple syrup. Muddle the ingredients to extract the juices from the mint leaves and fruit. Add lime juice from one lime, ice and soda water to fill the glass. Garnish with lime, mint, and fruit. If you love making mojitos check out this perfect mojito shopping list so you always have what you need on hand! Looking for more great cocktails here at The Best of Life Mag? 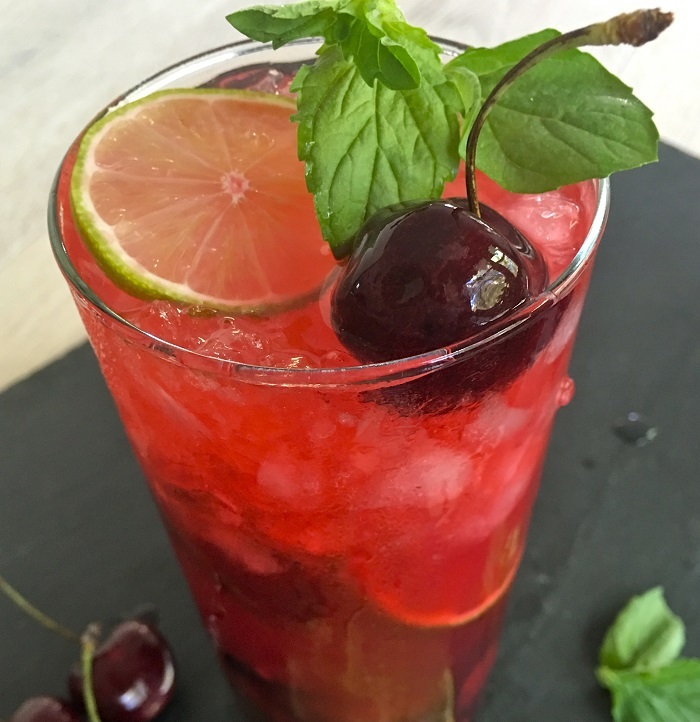 Check out this Summer Cocktail Recipe eBook! All of my favorite cocktails in one place. Use a 12 to 16 oz firm glass, combine cherries and blackberries, mint leaves, white rum and simple syrup. Muddle the ingredients to extract the juices from the mint leaves and fruit. Add lime juice from one lime, ice and soda water to fill the glass. Garnish with lime, mint, and fruit.